Welcome to our one segment two hour one minute Open Lines discussion. We started the program with a call from Henry Vanderbilt. Henry updated us with last minute information for the upcoming Space Access Society in Conference in Freemont, CA from April 18-20. Henry took us through program changes, keynote speakers and new topics plus other conference information including logistics and reservations About half the first segment was devoted to getting out the most recent Space Access information. For more info and reservations, visit http://space-access.org. Next, I mentioned some suggested topics for discussion including the upcoming "Lucy In The Sky" movie which will tell the Lisa Nowak story. I also mentioned that the film makers were indicating Ms. Nowak's behavior was influenced by her having experienced a negative Overview Effect when she flew in space. I asked for comments on both the film and depicting The Overview Effect in that fashion. Michael Listner called to talk about the Return to The Moon timeline of 2024 via the Pence-Bridenstine recent weeks. I called the Dennis Wingo comments to his attention from his program this past Friday. Michael offered us some interesting insights about the timeline and the probability of the divided government spending the money and adopting the policies needed to take us to the Moon by 2024. Don't miss his call. Marshall was our next caller. He wanted to reference the article I mentioned by NASA researchers suggesting that long duration spaceflight might cause latent viruses such as Herpes, Chickenpox, and Shingles to become active while on the flight. Marshall also talked about other autoimmune disease risks for spaceflight. Kim called from Mexico to tell her about her antigravity lab post on the blog re Brandies University. I urge you to check it out. Again, you can find it on our blog as Kim posted the link prior to the show. I then asked Kim about the New Mexico State University low gravity harness for simulating walking on the Moon or Mars. Don't miss what Kim said about this as she has worked with it for the Moonwards website. Other topics of interest with Kim included Space Access as she will be there. In addition, Kim talked about the Overview Effect, mental stress and the Lisa Nowak story. Kim shared interesting insights about this with us so be sure you hear her comments. Let us know your thoughts about this by posting on the blog. In closing, Kim talked about coding teams and challenges re developing Moonwards.com. John called next from Ft. Worth. He discussed the Zubrin op-ed I mentioned earlier in the show regarding the Pence-Bridenstine comments and 2024 timeline for returning to the Moon. The Gateway was part of the discussion. Don't miss what John said about the Zubrin op-ed. You can read the op-ed here: www.marssociety.org/zubrin-responds-to-new-pence-nasa-lunar-initiative. 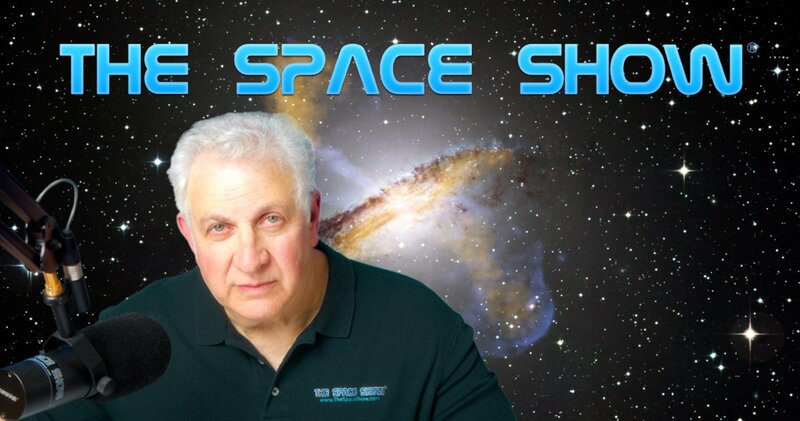 I suggested John listen to the Wingo show and note what Dennis said about SLS, other rockets, reusability and more. Near the end of the program, Gene from Pasadena called. He said he was writing a potential game changing influential article that he was confident of being published detailing how using space solar satellites and developing that industry would facilitate the use of The Green New Deal. He thought this would enhance the likelihood of success for the plan and provide economic growth as well, plus making the US the global leader in space solar power. Don't miss all of what he said on the subject. After his short presentation, I suggested that it would take more than a strong op-ed to make a difference in the areas he was talking about and that typically in recent times, much more was needed to drive policy than a well written and inspired op-ed. Gene disagreed with me and thought the impact of what he was writing would be a game changer. I asked him to let us know when the article was published and to send it to us. I told him we could do a show about his op-ed or he could call into to discuss it in detail on another Open Lines show. I will make sure to let the listeners know when Gene gets his article to me. Listen carefully to Gene's comments and let us know what you think by posting on our blog. The final call for the program came from Freemont John. He talked about the design and development of a lunar propellant architecture and he posted relevant papers about this on the blog for this show. Make sure you check out his links. He mentioned Dr. Phil Metzger on his paper on this subject, noting that Phil will be back on The Space Show on Tuesday, May 21. Please post your comments/questions on TSS blog for this show. Make sure you find me if you attend Space Access. I will be wearing a Space Show logo shirt every day of the event. If you want to reach any of our callers, let me know and I will put you in touch with the person of your choice.